June took me back to the stunning Skomer Island in Wales. I was co leading the first of two NaturesLens Puffin Photography Holidays with David. 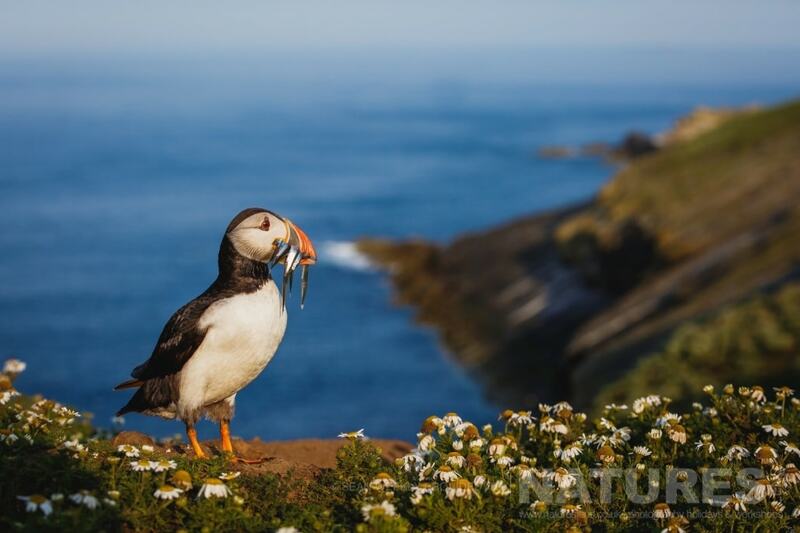 Skomer may be just 15 minutes away from the mainland of Wales but it feels like a million miles away! The short boat trip takes you to a different world. I’ve travelled quite a lot over the years, & the relationship that you can get with the wildlife here is unlike anywhere in the world. 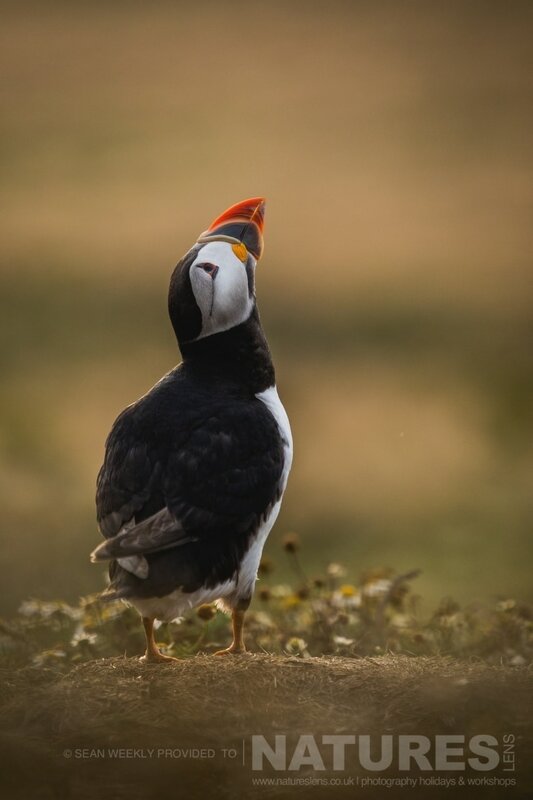 It is always an exciting time of the year when the puffins arrive back on the island. There is something about these little birds that many find fascinating. 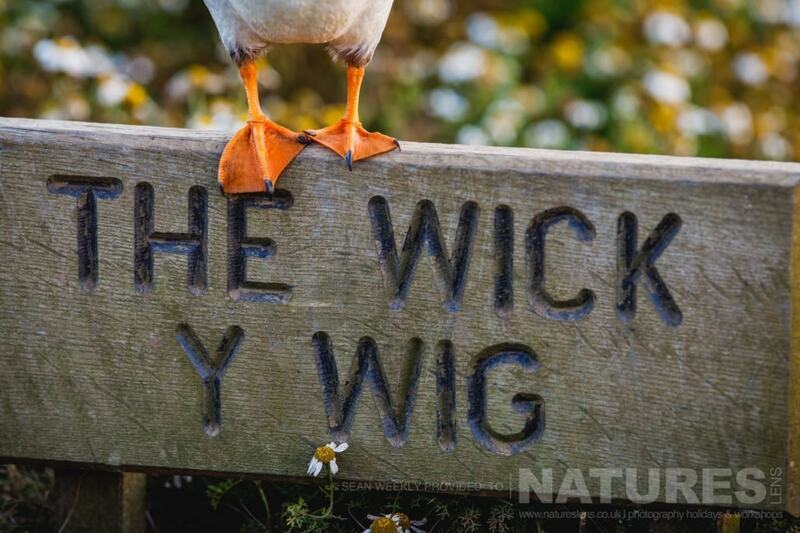 It is mostly due to their curious personality & how relaxed they seem around visitors to the island, crossing the paths to reach their burrows, while navigating their way through peoples feet & legs! This is probably the main reason they are a photographers dream. The birds are literally within touching distance allowing photographers from professionals to beginners to come away with some lovely photos. 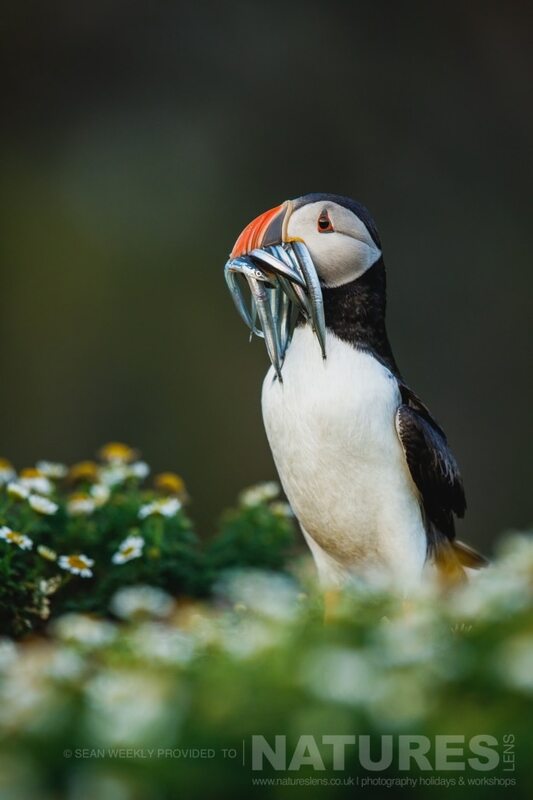 This was my third year visiting Skomer for puffin photography & every year it becomes a challenge to come away with a unique set of photos. 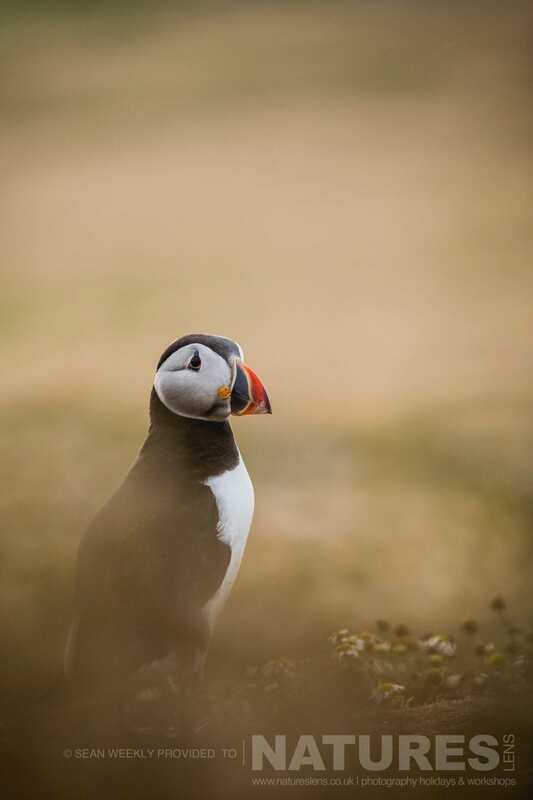 This trip however had the best forecast for the duration allowing for some great morning & evening light allowing for what would undoubtedly be some creative puffin photography. The first evening I spent a lot of time with a few of the guests going through the best settings & techniques for birds in flight photography & also the best settings for backlit photos. I decided to go for a slightly different shot & photograph the puffins coming into land with a very slow shutter speed to purposely blur the fast wing movement as they flew in. It was a very tricky shot but it paid off in the end. The rest of the trip followed the same format an early start to photograph the sunrise with a mid-morning break or lunch break before the group all headed out again in the afternoon for the better weather & light. 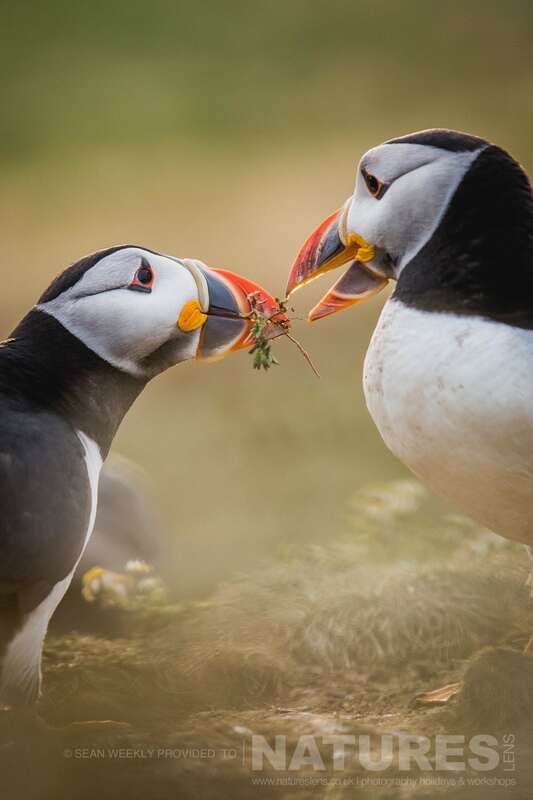 Everyone had an amazing time, plenty of puffins, good company, great homemade food & lots of wine! Next year can’t come soon enough. 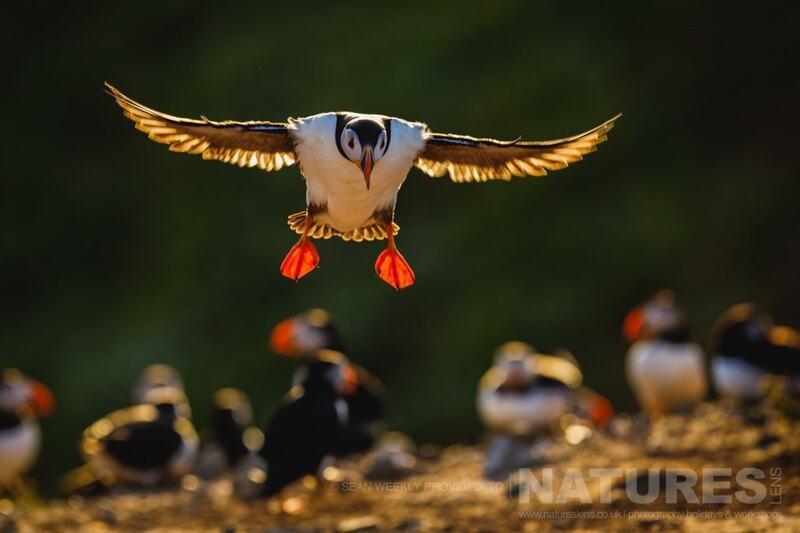 WOULD YOU LIKE TO STAY ON SKOMER ISLAND FOR PUFFIN PHOTOGRAPHY? 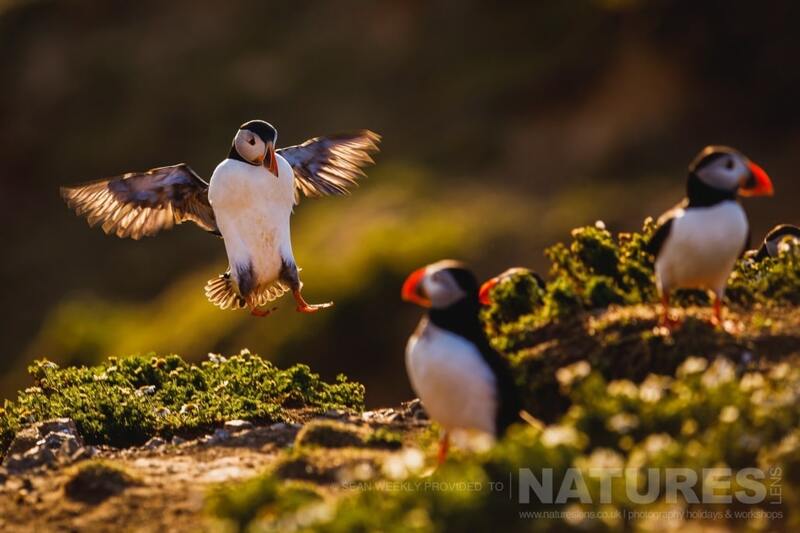 For 2018, NaturesLens have already announced a return to undertake puffin photography on Skomer Island – the trip has been scheduled to start on July 7 & ending on July 10, 2018. 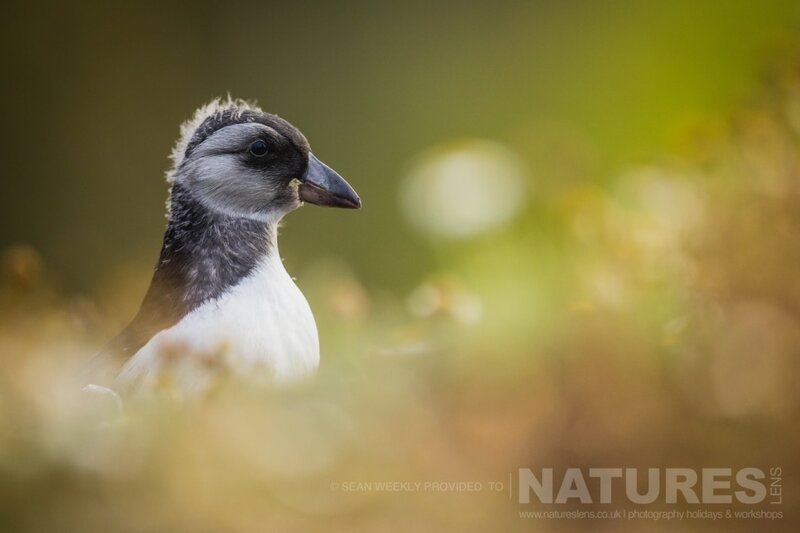 This entry was posted in galleries, photography holidays, uk tours, wales, workshops and tagged island, manx shearwater, puffin, seabird, skomer. 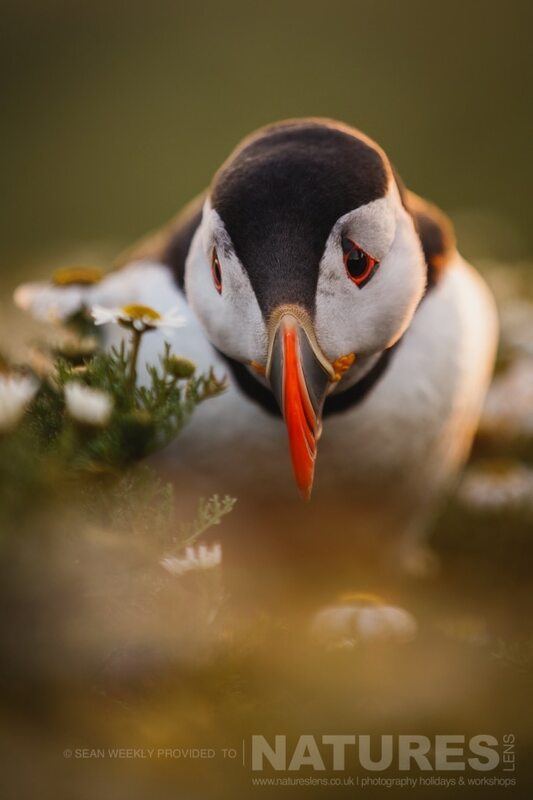 Whatever your query regarding our photography holiday, June’s Puffin, please fill out your details below & we will get back to you.